Many liked the lightweight construction of the shoe. The shoe is very comfortable to wear and has a breathable upper. It delivers the right amount of cushioning as mentioned by some runners. According to some, the upper of the shoe is breathable. Some runners felt that the shoe is too tight for them. The Nike Free 4.0 is a fast, lightweight and reliable running shoe that is designed for neutral foot movement. The shoe was able to impress a lot of users. Some admired the shoe's lightweight design while others were disappointed by the shoe's durability and tight fit. Though Nike still needs to improve some aspects of the shoe, it will not disappoint on distance runs and competition. Nike made immaterial, cosmetic changes in the Free 4.0 2015. I like it so much I got another pair. It is very light, comfortable, and flexible. The way the sole is cut is not all good though. 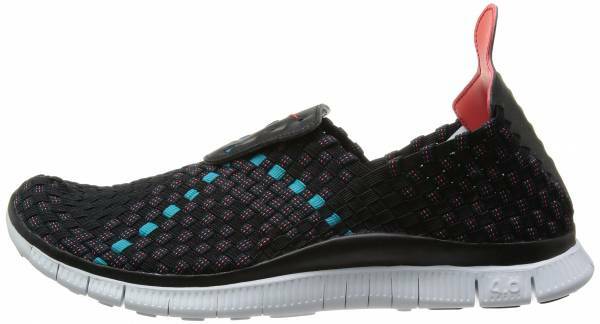 The 4th version of the Nike Free delivers a very comfortable and natural ride because it has been created to provide a barefoot-like running experience that’s responsive to every movement made by the runner’s foot. Running with ease and smoothness to the movements is pretty much achievable because the components used in this shoe are soft, flexible and attuned to the needs of the runner who desires a minimalist style of running. The upper unit uses a one-piece mesh material that has a seamless construction. Having such a design truly allows the foot to be comfortable and capable of moving without restrictions. It’s lightweight and breathable, so air constantly enters the shoe to provide a well-ventilated interior. The mid-sole unit of this running shoe uses one of the most durable technologies that Nike has to offer. The full-length foam doubles as the underfoot platform and the outsole unit. Responsible cushioning is received by the foot, but it’s durable enough to withstand surface abrasion even when it’s exposed to the ground. The part of the foam that’s exposed to the ground gets additional protection from a durable rubber material that’s placed in critical areas where most of wear and tear are likely to occur. This rubber material also gives traction. Diamond-shaped flex grooves allow full natural flexibility for the foot. The Nike Free 4.0 is true to its size. The sizes that are available for this model follow the regular measurements for men and women. The heel, mid-foot and forefoot sections have medium widths, essentially welcoming those with medium sized feet. Its semi-curved shape is tuned to follow the natural shape of the human foot. A durable rubber material is placed in areas of the shoe where wear and abrasion are most prevalent. It provides durable protection while also adding traction to the wearer. The outsole durability of this shoe is comparable to the Nike Free 5.0. Diamond-shaped flex grooves are cut deeply across the entire length of this running shoe’s external layer. They make sure to allow the runner to move in a natural and unrestricted way. It is especially helpful when it comes to the toe-off phase. The Phylite is a flexible, full-length foam unit. It acts as both the mid-sole and outsole foam, so it’s immediately exposed to the ground. It’s durable, so it doesn’t succumb to abrasion easily. It’s not stiff, so the foot is able to flex naturally with this underfoot platform. A one-piece mesh makes up the main upper unit of this running shoe. It covers the foot snugly and securely, yet it doesn’t make it feel irritated or uncomfortable because it has a seamless and breathable construction. Air constantly enters the shoe in order to keep the foot cool and dry. Synthetic overlays are fused onto the upper, providing structure to the material while also ensuring that the runner gets to experience a snug and custom fit that’s tuned to their specific needs. Connected to the lacing system, these overlays cause the upper to tighten and loosen in accordance with the adjustments made to the shoelaces.